The Topz gang turn their attentions to Christmas; not just this year's, but the first ever Christmas 2000 years ago, in this colourful book for 7-11s. Looking to share Christmas with 7-11s? Take a journey all the way back to the very first Christmas with the Topz gang, and discover a night like no other! The boys and girls of the Topz gang have been told the Nativity story loads of times. They’ve seen books, nativity plays, and films all about it. There is nothing they don’t know about Christmas...or so they think. But all that changes when they go backward. Not to last Christmas, or the year before, or even to the year before that, but all the way back to the very first Christmas over 2,000 years ago. They find a Christmas they could never have imagined. Seeing countless angels flood the night sky, and seeing a Mary barely older than the Topz gang themselves being chosen to be Jesus’ mother, and how King Herod went on a crazy hunt for the Baby - the Christmas story they never knew happens right before their star-struck eyes. Made for 7-11s, this is the perfect resource for kids who think they know the Nativity inside and out. Filled with fun, this Topz Christmas book is a journey like no other! Help kids grasp why Christmas is much more than a donkey and a stable with this nail-biting, exciting, and engaging book from the Topz series. Topz Gospels: Christmas by Alexa Tewkesbury was published by CWR in August 2017 and is our 15524th best seller. The ISBN for Topz Gospels: Christmas is 9781782596899. 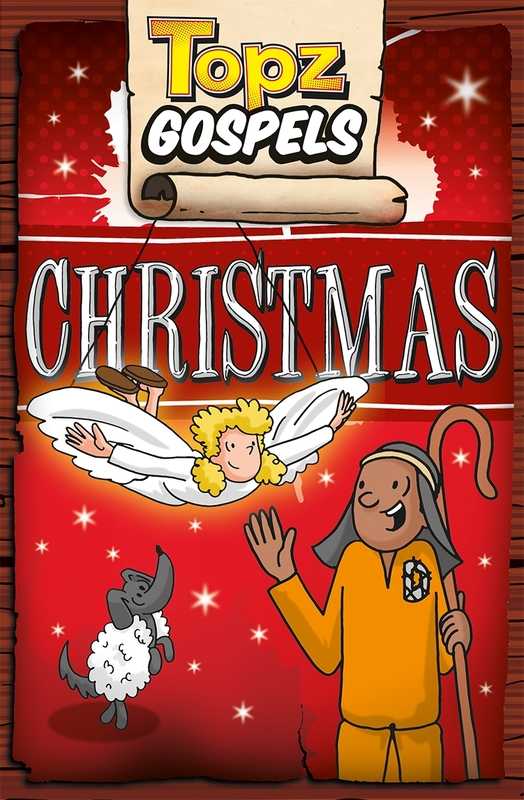 Be the first to review Topz Gospels: Christmas! Got a question? No problem! Just click here to ask us about Topz Gospels: Christmas. It's Christmas. But not like this year's, or last year's, or the one before. This is the first Christmas. The very first - when Jesus was born on the earth. The Topz Gang know the Christmas story inside out. But, supposing they'd been there - actually been there - when God chose Mary to be Jesus' mother; when angels lit up the night-time skies to announce His birth; when nasty King Herod decided to hunt down the new baby because he was afraid Jesus would come after his throne. This exciting, nail-biting, back to Bible times, Topz book is for children aged 7-11. Help them grasp the true wonder of the Christmas story as they go back and explore it afresh.